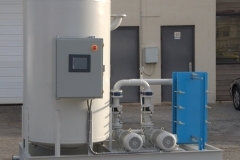 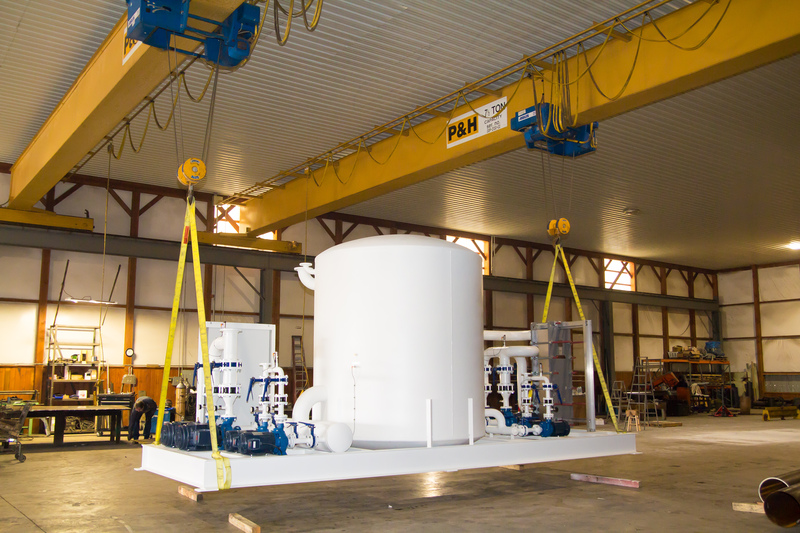 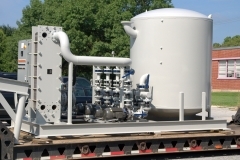 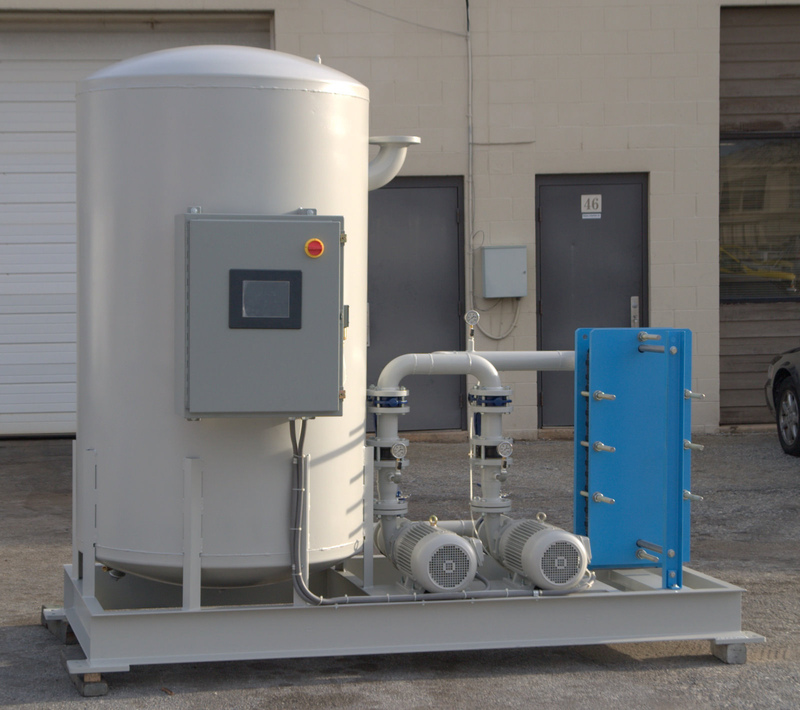 Evaporative and Dual Loop Systems | Robson Industries Inc.
A Robson Industries Inc. Evaporative Cooling Tower System cools a process by evaporating a small portion of recirculating water. 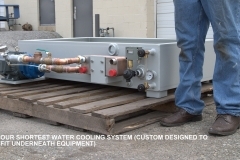 This allows for process fluid temperatures below the ambient temperature, typically within a few degrees of the ambient wet bulb temperature. 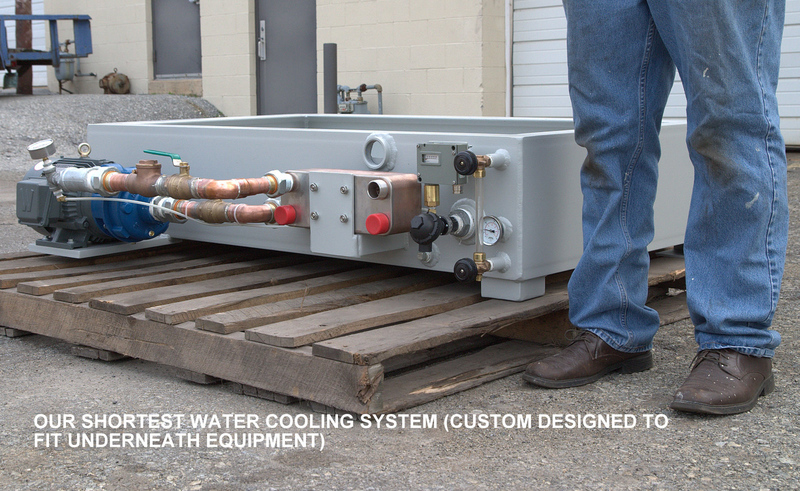 If your process requires 85°F – 95°F water, in most climates this will be an excellent system for you. 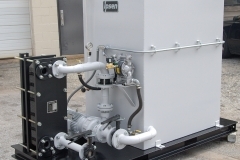 The systems are reliable and relatively inexpensive to install and operate. 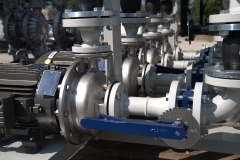 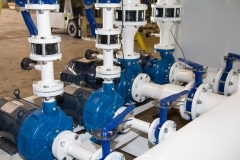 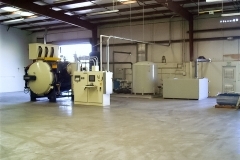 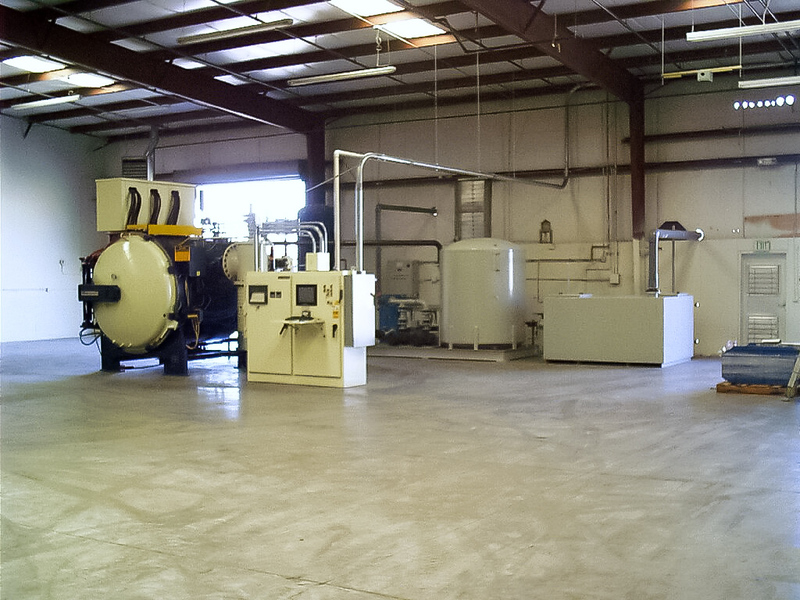 They are available for flow rates of 10 GPM – 3,000 GPM. 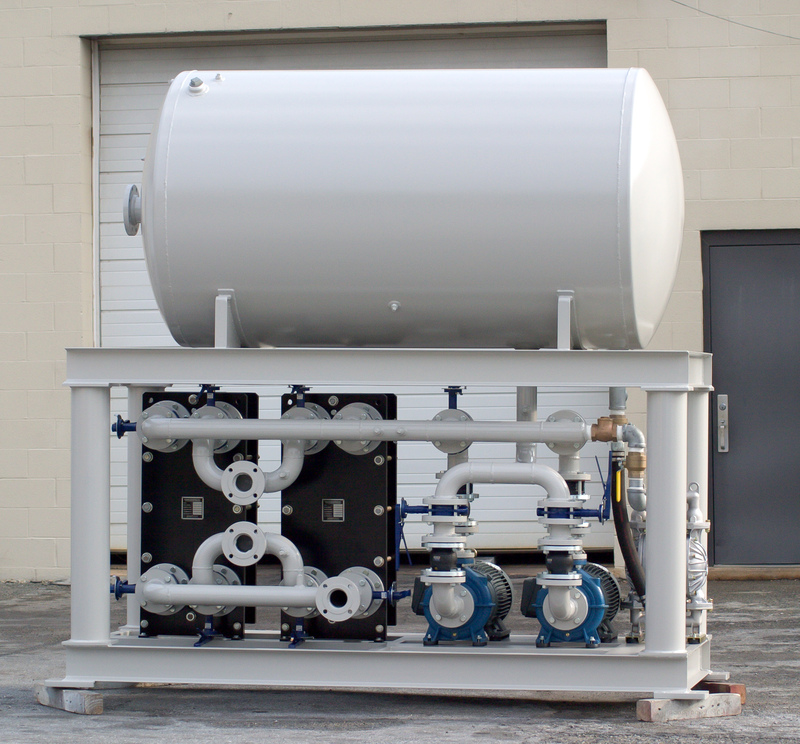 The water that runs through the towers is typically isolated from the process fluid by means of a plate and frame heat exchanger. 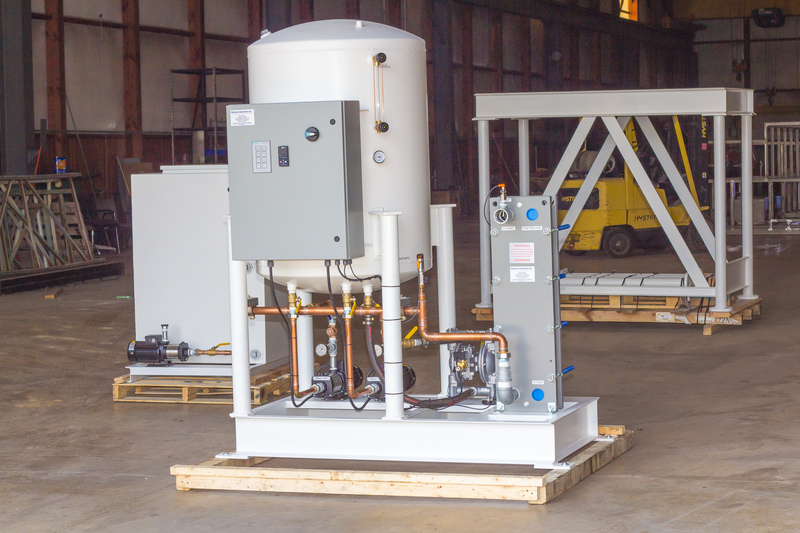 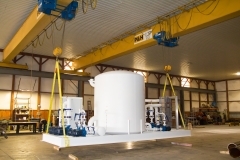 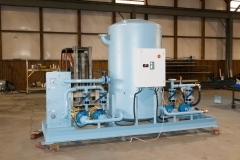 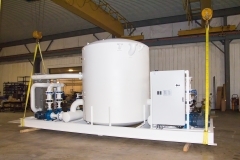 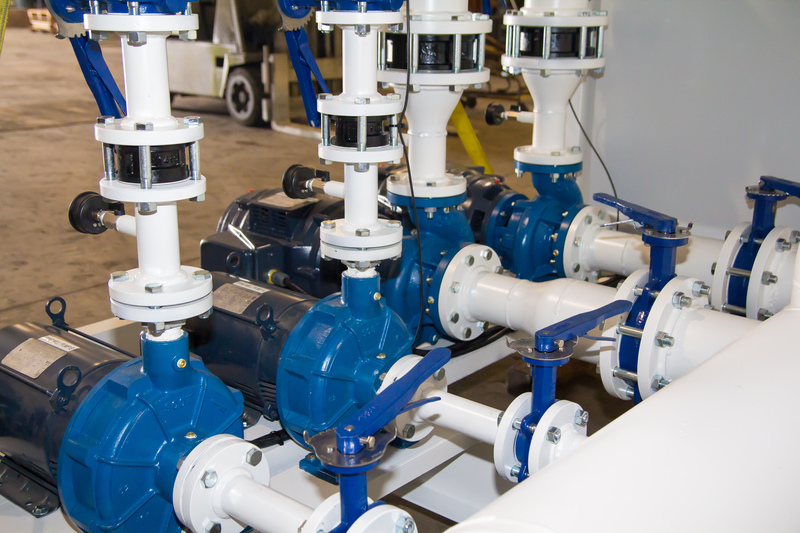 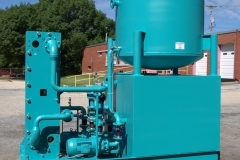 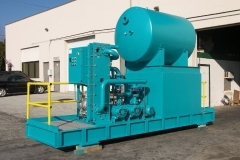 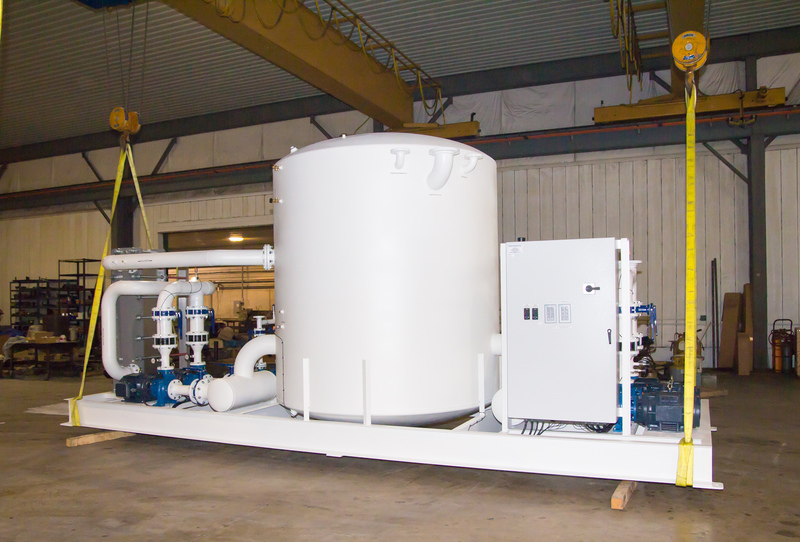 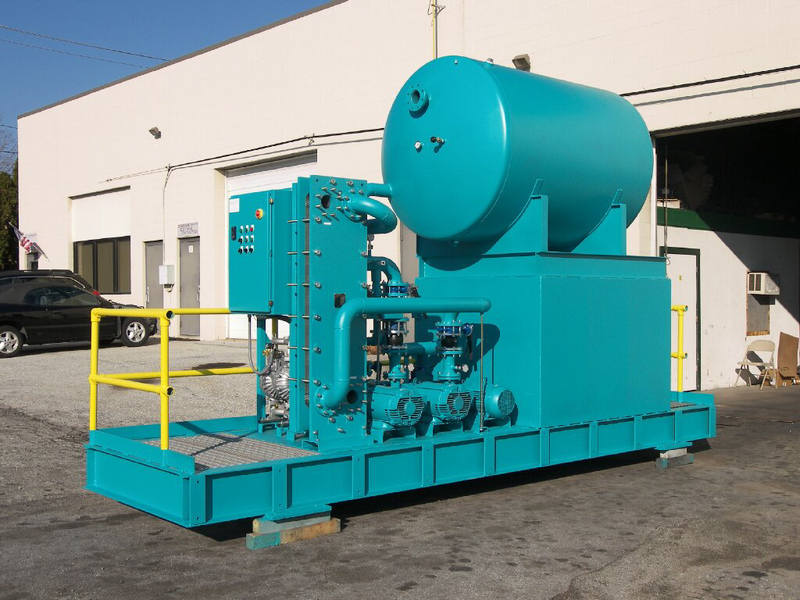 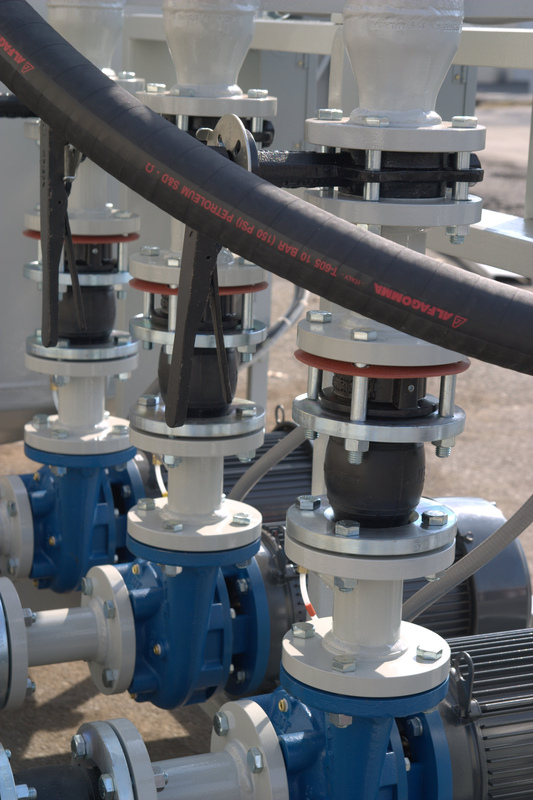 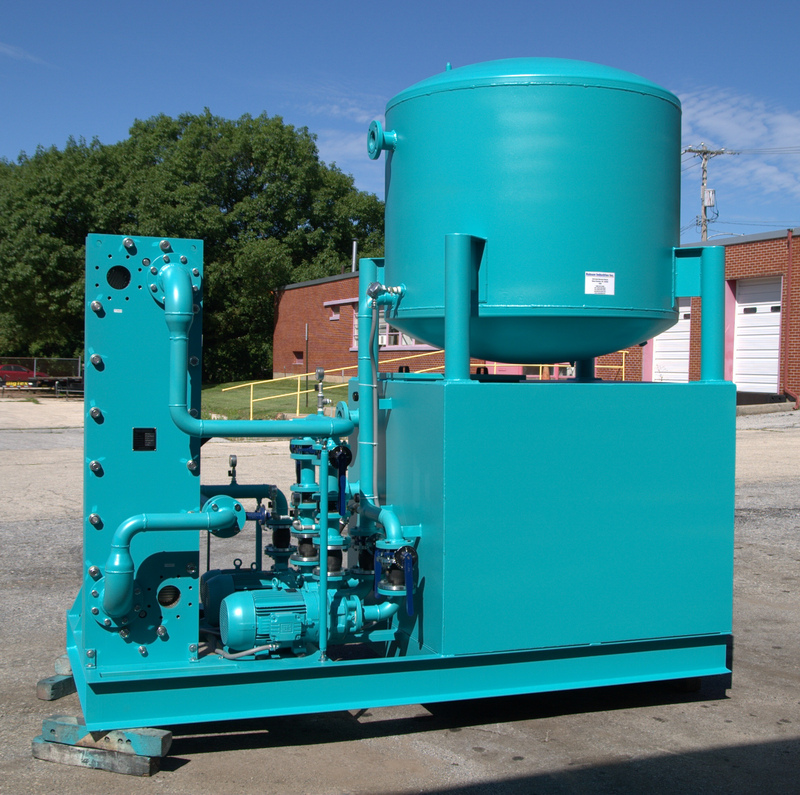 Dedicated pumping equipment flows water through this heat exchanger and to your equipment, providing fluid at a consistent flow and temperature. 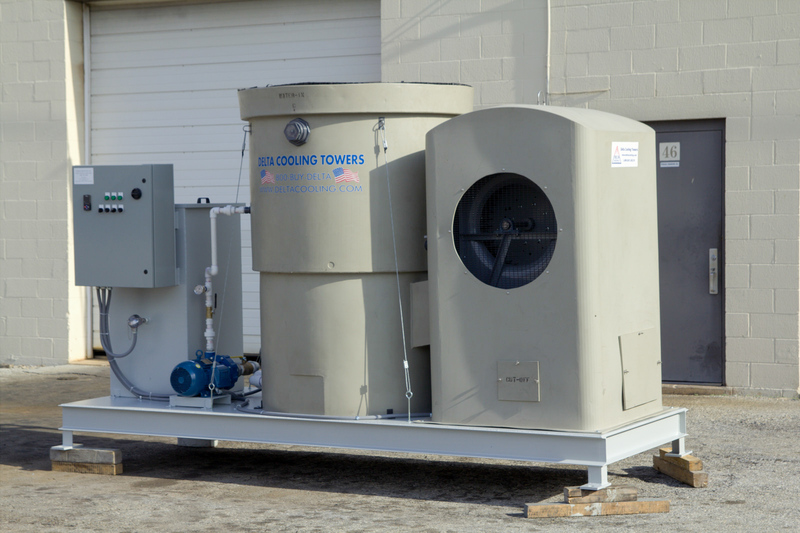 As cooling is needed, the system switches on the tower pump and tower fans to maintain the proper process temperature. 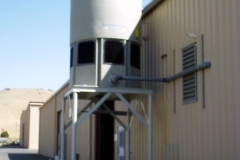 For colder climates where freezing is a concern, the tower sump typically is located indoors. 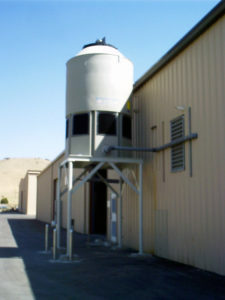 When the system is at rest, all tower water is inside. 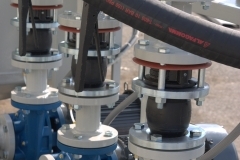 This protects the equipment from damage due to freezing lines. There are countless control options available, and the reservoirs can be constructed from epoxy coated steel or any grade of stainless steel. Buy More Than A Tower from Robson Industries Inc.
Our Drop In Place Outdoor Systems ship complete in a pre-fabricated enclosure that is heated, ventilated and lighted. 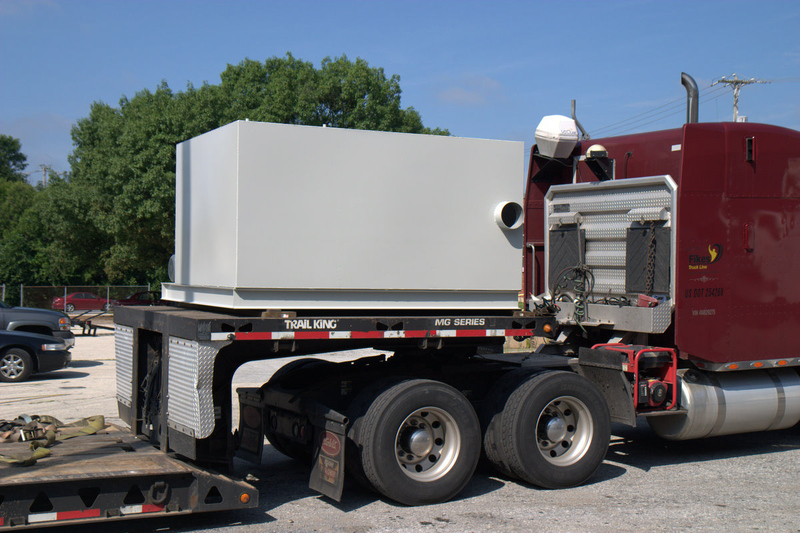 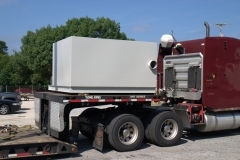 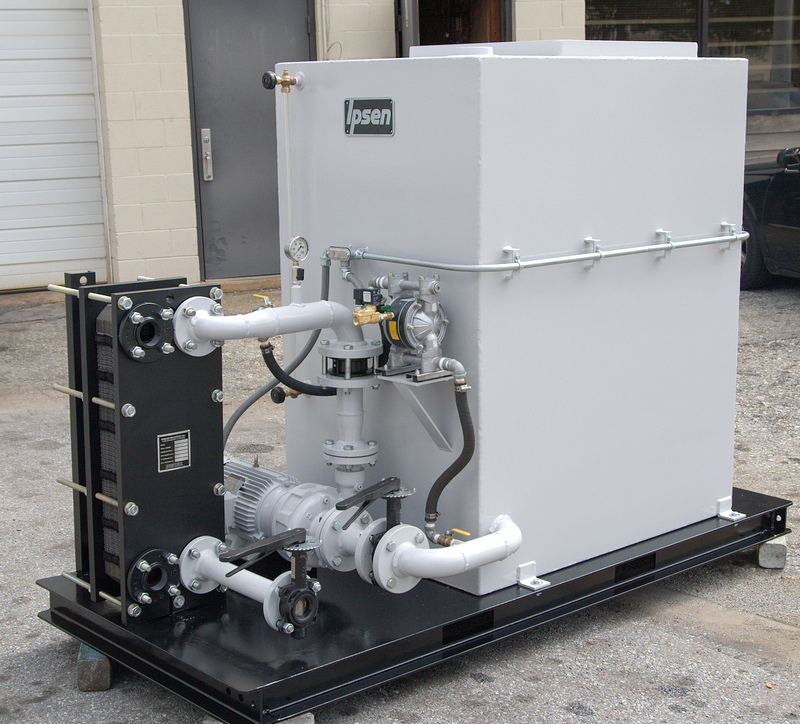 Installation at that point involves routing your process fluid in and out of the system and powering the enclosure. 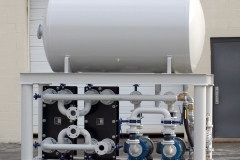 We look forward to speaking to you about what system might work for your application.